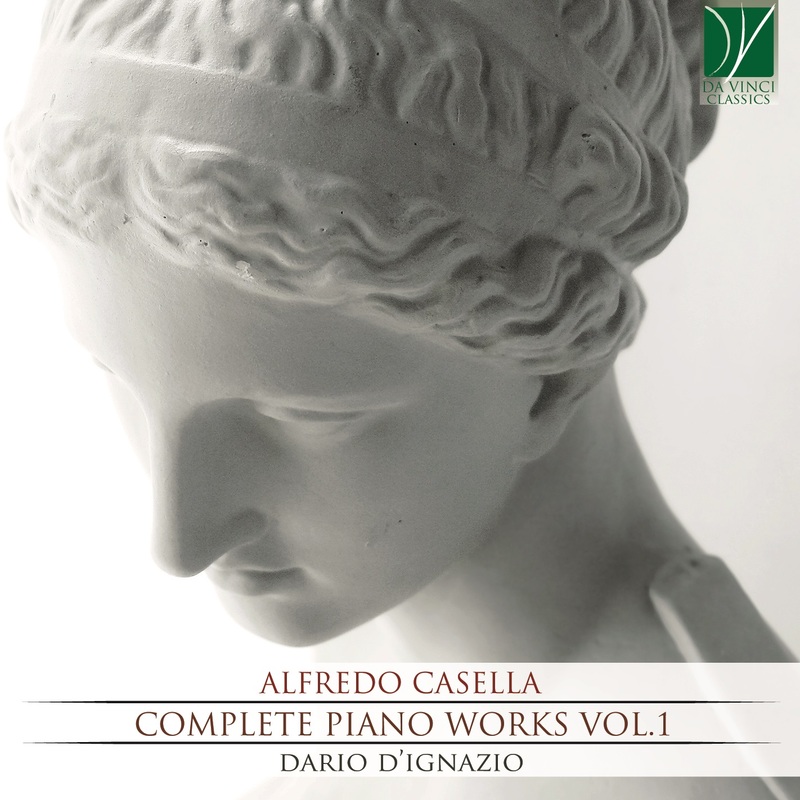 Composer, organizer, pianist, conductor, interested in science, Alfredo Casella was perhaps the most innovative composer in Italian music between the two world wars. Thanks to the advice of Martucci and Bazzini, he frequented the Paris Conservatoire where become a close friend of Enescu and Ravel and attended Fauré’s composition classes for a short period. These experiences broadened his horizons, becoming admirer by Debussy, R.Strauss, Mahler, Bartók, Schoenberg, and Stravinsky. Influenced by revolutionary trends in the visual arts (cubism, futurism, pittura metafisica) his music reflects a restless search of a style, where the searching itself become the meaning of each composition. Even if it was only one of his activities, he achieved an invaluable place in the history of Italian and European music. He attempted and succeeded to advance Italian music of that time at a European level, connecting a group of a young composer like G.F. Malipiero, Pizzetti, Respighi, Tommasini, Gui, and Castelnuovo-Tedesco. Generally speaking, it’s possible to split his compositional phase into three macro-styles: up to 1913, 1913–20 and 1920–44 but the range and the experimentation of the composer would require a longer and more detailed timeline. Dario D'Ignazio, Piano: Dario D’Ignazio has started his piano studies with his mother and has taken his piano degree at Conservatorio “A. Boito” in Parma with Roberto Cappello. Later Alfredo Speranza has cared for his artistic development. Both he and Marcello Abbado defined him one of the best pianists in this century. He has taken a degree in Musical disciplines (Interpretational and compositional branch) and he has also studied conducting with Giovanni Pelliccia. He has taken part in and has won prizes in various national and international piano competitions; in 2001 he won the International “Allegro Vivo” music festival in Horn (Austria), first Italian after twenty years; on this occasion he also won the prize given by radio and television critics. After some time he has preferred the study of interpretation – a tiring but more satisfying research – to competitions, that brought him to build a strong, dominant and unique musical personality. Thanks to a restless study, he has improved his technique and has been able to realize his own musical idea. Lidia Carbonatto Palomba, Rai journalist in Rai said: “A pianist endowed with a superb technique – had Michelangeli still been alive, he would have been his favourite pupil”. Fascinating both the audience and the critics with a series of concerts in Romania and in Spain, he played in “Festival Salento Classica” the “Fantasie” for piano, choir and orchestra by L. v. Beethoven conducted by Salvatore Accardo. In spring 2016 he started the “Piano Work Tour”, in which he has played as a piano soloist and with orchestras in Italy, Spain, Austria and Poland. He collaborates with Vatican Radio broadcast and records for Tactus and Da Vinci Classics.